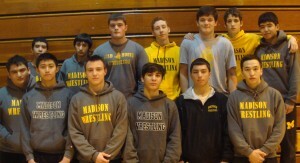 Madison Wrestling travelled to Petrides High School on Super Bowl Sunday for a PSAL Championship qualifying tournament. 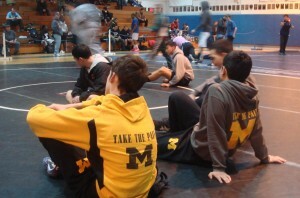 Thirteen wrestlers made the trip, and all thirteen qualifed for the PSAL Individual Championships, at Truman High School in the Bronx. Day 1 is Saturday, February 9th, and the medal rounds will be wrestled on the 2nd day, Sunday, February 10th.